In Reuters investigation of EB-5 program, NYC Regional Center principal admits lies in arena project pitch, but blames affiliates. That's not so. A major investigation of the EB-5 immigration visa program by Reuters, Special report: Overselling the American dream overseas, turns up numerous reasons for skepticism and an admission by a principal of the New York City Regional Center (NYCRC) that potential investors have been lied to about the Brooklyn Arena and Infrastructure project. Astonishingly, however, the NYCRC's George Olsen gets away with blaming immigration brokers in foreign lands--in this case, Korea, not China--rather than acknowledging, or being forced to acknowledge, that the same statements have been made, in documents and on video, by the NYCRC itself. "But that's what's frustrating," Olsen said. "You can't be at every seminar, you can't be at every meeting, you can't be in the room when one of these people is talking. To raise $100 million, you have to get 200 investors. That's a lot of people. So there's a certain amount of mass marketing that has to go on. And once you get into that realm, it's hard to control." Oh, come now. The same statements have been made by the NYCRC's Gregg D. Hayden in China, as I've documented. Here's my FAQ, and here's a report, with video. "The first major advantage is that the approval process, from USCIS, having already been accomplished, takes all of the immigration risk out of the process for the EB-5 investor," Hayden claimed in a webcast (below) at 1:00. "[O]ur job creation, which is the focus of getting the condition removed in two years, is so extremely certain with this approval process from USCIS," he continued, at 4:25. 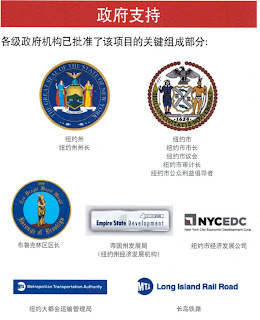 The agent from Kookmin, for instance, said during the Seoul sales presentation that the government of New York state was involved in the rail yard project. Olsen said that claim was inaccurate as well. But such claims get made over and over again -- especially outside the United States. And they get made by the New York City Regional Center. Still, the visits by high-profile politicians, including sitting state governors, continues, encouraged by the overseas promoters. "We ask them to invite their government officials," said Hong Yu, a project manager based in Florida for the Wailian Overseas Consulting Group, which, like Maslink, works to find investors for the program. "That's very important ... to the Chinese people. Chinese people think, 'OK that project is government supported.' ... It feels safer." But the impression is utterly false. Bentley, the USCIS spokesman, is unequivocal on the point: Just because a business has been designated as an approved EB-5 investment "does not mean that the projects are government-backed or guaranteed." 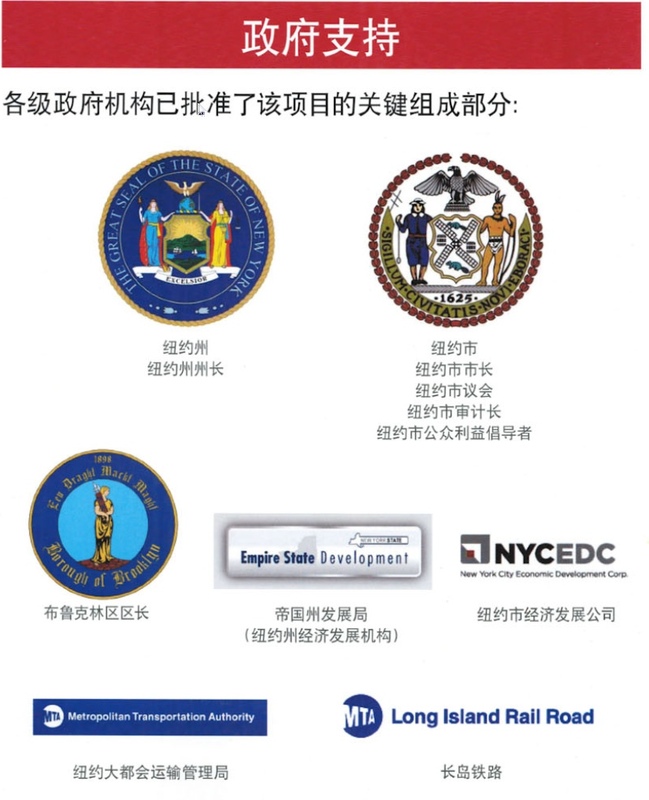 The NYCRC portrays the "Brooklyn Arena and Infrastructure Project" as funded, in part, by city and state contributions and suggests government agencies are partners in the job-creation effort. Another big problem with the program: The attorneys the immigrants rely on as they navigate the EB-5 maze in the United States are often deeply conflicted, accepting commissions from the businesses they steer the immigrants to. It's a practice the lawyers do not always disclose and one that may violate U.S. securities laws. Over the past two decades, thousands of immigrants have been burned by misrepresentations that EB-5 promoters make about the program, both inside and outside the United States. Many have lost not only their money but their chance at winning U.S. citizenship. "I always tell the people who approach me that the EB-5 investment program is a risky business," said Brian Su, a Springfield, Illinois-based immigration consultant who publishes a popular blog on the program. "If you cannot bear the loss, the total loss of your investment, don't play this game." But those risks are downplayed by almost everyone involved in the program -- including the USCIS itself. Chris Bentley, the agency's spokesman, for instance, said "the overwhelming majority" of EB-5 investors and their dependents go on to qualify for permanent resident status. An analysis of USCIS's own data, however, suggests that's not true. Nearly half the immigrant investors who won EB-5 visas during its 20-year history have failed to obtain permanent residency. The rise in recent years of an unregulated industry paid to fill the EB-5 pipeline with rich foreigners has only added to the dangers. The U.S. businesses the immigrants are now steered to -- by firms like Maslink and by U.S. immigration attorneys -- are often the ones paying the highest commissions, not the ones offering the best investments, according to the industry insiders who spoke to Reuters.